Brockville, Ontario (October 5, 2018) BTN — Police have arrested two people, and are looking for four others, in connection with drug and weapons offences with motorcycle club links following a raid at a midtown home last week. 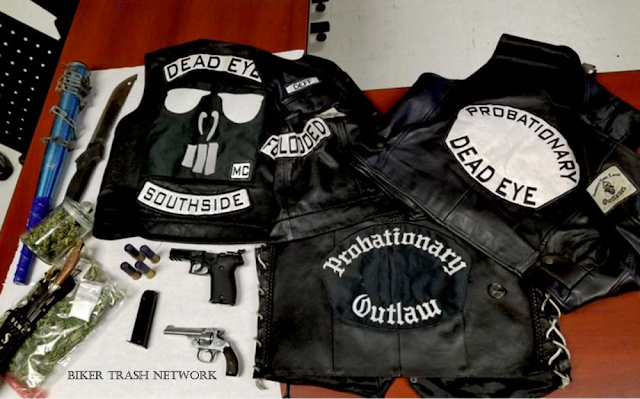 Items found in the residence included firearms, weapons, controlled substances and vests belonging to “Dead Eyes MC” which police described as “a support club to the Outlaws Motorcycle Club.” Police also seized a vest belonging to the Outlaws Motorcycle Club. On the eve of the Sevenoaks raid, Police Chief Scott Fraser, speaking at a neighbourhood watch meeting, drew a distinction between the alleged youth gang and motorcycle clubs. 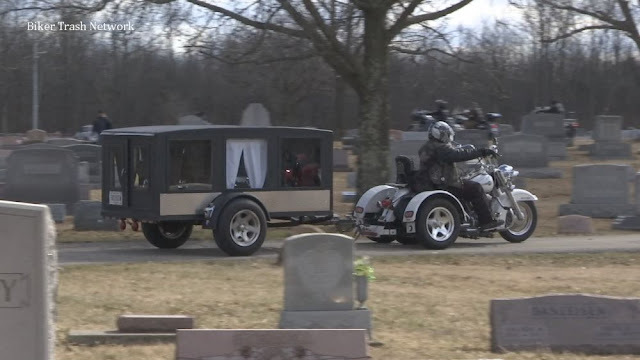 The chief said that, while there is no evidence of an actual youth gang operating in Brockville, biker clubs such as the Outlaws have been operating here.